I’m still waiting to read it, but I thumbed through Moon Knight #1 off the rack this poast week and DAYUMMMMMMM, this is a good looking book. You should buy it just based the art by Declan Shavley & Jordie Bellaire. 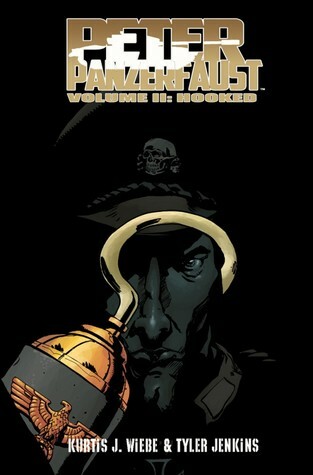 It’s worth the $4, especially when you factor in that this book is written by Warren Ellis. So yeah, go get on that y’all. THAT is how you do covers y’all. Props to Alexander Lozano on some fine work. It’s been awhile since we’ve seen J.H Williams III draw comics, cover or interiors. Between him quitting Batwoman and the delays on the new Sandman mini series (#2 was supposed to drop last month BTW), his presence on the comics stands is missed. Marco Rudy is not quite on J.H. Williams’ level, BUT YO, this is a great looking book! Rudy does some amazing things with the layouts, ranging from using giant Xs to lay out the panel, to using Cyclops’ out of control powers to frame the pages. The end results, heavy on reds, blacks, and whites colors, are breathtaking. I really hope we see more of Rudy on this book when Chris Bachalo needs a break. His ability to mimic other artists style is showcased too, channeling some David Mack & John Byrne at times. There was a lot of GOOD looking books coming out from Marvel this week, and this is one of the best looking ones. Plot-wise, Brian Michael Bendis and Rudy touches upon a number of various plot elements the team has faced, focusing heavily on Cyclops. The creative team does a great job of having Scott touch upon these events, and is a fitting end to these last few done in ones. It does a great job closing out one chapter and setting up the next “Vs. S.H.I.E.L.D.” arc, which I’m very excited for. 3 issues in, I thought I had Burn the Orphanage figured out. Thought #3 was going to be the wrap up to the Born to Lose trilogy, a cool arc that introduced the cast, set up their very video game inspired world, and enjoy the most video game reference in a comics since Scott Pilgrim’s heyday. And then this issue dropped. Oh sure there’s some video game references in it. And yes, it does deal with the fallout with the events of issue 2, placing the lead character Rock on an alien world, frame for a crime he didn’t commit. Which is very much something that makes sense for this series. What I WASN’T expecting was a in-dept discussion about love and dating between 2 of the Rock’s friends. And it’s very well done, I won’t deny that. BUT it just felt very out of place given the previous themes explored in issue #1 and 2. And I applaud Daniel Freedman and Sina Grace for trying something new with the book, I just wish it was executed a little better. I also wish the book had an actual ending, and not a cliffhanger that won’t be addressed until May when the series becomes a monthly. Which is great, but again the execution could have been better. Despite my problems though, BTO:BTL #3 is a solid read. A weird one, but a good one none the less. FPNYC Faithful, I have a sore throat and IT IS THE WORST, PLEASE SEND HELP/A NEW THROAT. THIS WEEK IN CONFESSIONS: Aside from a few (4) tie-in issues, I pretty much skipped over Infinity these past few months. HOWEVER, Inhumanity #1 recaps what you need to know quite nicely, so you can enjoy it and still wait for that pricey hardcover to drop in February. Rumor has it the Inhumans are getting a big push due to FOX having the rights to the X-men movie franchise and Marvel needing something that can be feared and loathed on the big screen for $$$. If that’s the case, Marvel Comics has definitely assembled the right team to get that ball rolling, as Matt Fraction has been on fire for the last year, and his run on the Fantastic Four books has shown that he knows how to write those characters. Pair him with 3 of Marvel strongest artists in the form of Coipel/Yu/Weaver and chances of this book being a hit are good. And it is! Karnak makes an excellent tragic lead, and Fraction tosses his fan base a nice little bone by throwing in some quality Iron Man and Hawkeye scenes. It’s nice seeing Matt flex some different creative muscles, as this book feels ways different than some of his recent big hits. And Coipel and friends deliver as well, offering some unique visuals and character moments that hit hard. Inhumanity is off to a strong start, and I’m hoping it can keep this level of quality going. The first issue of BtO:BTL was arguably the best comic of this year that I never asked for. Sina Grace and Daniel Freedman created a nice homage to beat ’em video games and had they ended the series there I would have been pleased. HOWEVER, issue 2 is a homage/parody to fighting games, specifically Mortal Kombat and Street Fighter, and YO, I am quite BOUT that! Everything about this 2nd issue is a step up from the already impressive debut. Grace’s art is less sketchier this time and feels a lot more finished. The script takes a few unique twists, leading to some great fight pieces, cool locales, and really solid jokes. And the fights this time are a lot more brutal, which says a lot considering the 1st book ended with some dude getting his head kicked off. Except to cringe at least twice when reading this. However, this 2nd issue drops the ball in two area. $5 for 32 pages seem like a lot, especially since this lacks the free digital copies Marvel and DC usually offer for that price range. And the ending is more abrupt than a cliffhanger. Still a great read though, Burn the Orphanage #2 is worth the cash if you want more good indie comics that pay homage to video games. With this third issue, Longshot saves has gone in full Dr McNinja territory. The Marvel Universe finds itself at war with various “What-If” variants of themselves, all while the fabric of reality is threatened. Also Senile Magneto may be the character find of the year. This month’s (or week’s, I have no idea if this mini is monthly or bi-weekly) issue sees Victor Calderon-Zurita help out on pencils, as seen on the cover. Victor’s pencils are very similar to Cagmani’s, although some characters eyes look too big for their skulls are certain times. Still, the book remains a delightful romp, as Chris Hastings knows how to balance action with comedy perfectly. The humor is this book’s strong point, but there’s some moments of badassery too. With an issue left (I think. ), it’s been a very fun little mini that I hope sticks it’s landing. Told you next week’s going to be an astoundingly fantastic week here at the shop. Check out the spectacular, jam-packed lineup we’ve got for next Wednesday night! Amy Reeder and Brandon Montclare (Rocket Girl, Halloween Eve), Nick Dragotta (East of West), Ed Brisson (Comeback, Sheltered), Sina Grace (Not My Bag, Li’l Depressed Boy), Mike Moreci (Hoax Hunters), Duffy Boudreau (Blackacre), Johnny Christmas (Sheltered), and maybe some surprise guests! Wow. We need more chairs. Can’t find New York Comic-Con tickets at a decent price on the secondary market? Fuggedaboutit. Come here instead. EVERYday is a comic-con at Forbidden Planet NYC.